Kings defenseman Robyn Regehr said he intends to retire after a 15-year NHL career. Defenseman Robyn Regehr was placed on injured reserve by the Los Angeles Kings on Friday with an upper-body injury. Alec Martinez has undergone finger surgery, leaving the Stanley Cup champion Los Angeles Kings short of healthy defensemen again. The Los Angeles Kings have re-signed defenseman Jeff Schultz to a two-year contract. LOS ANGELES -- It was eating at Darryl Sutter.He went back and forth in his mind in the 24 hours leading up to Game 5, but in the end the Los Angeles Kings coach had to tell Robyn Regehr again that Regehr wouldn't be playing despite having gotten a clean bill of health earlier in the series. 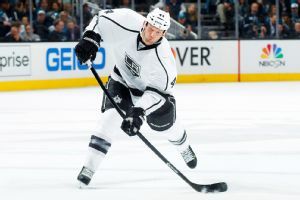 Los Angeles Kings defenseman Robyn Regehr, who has been out for a month with a knee injury, is expected to be back in the lineup for Saturday's Game 2 of the Stanley Cup finals against the New York Rangers. Los Angeles Kings defenseman Robyn Regehr, who has been out for a month with a knee injury, says he has been cleared to play, but he sat out Wednesday's 3-2 OT win in Game 1 of the Stanley Cup finals against the New York Rangers. Kings defenseman Robyn Regehr is nearing a return to the ice after suffering a knee injury in Game 1 of the team's semifinal series against the Anaheim Ducks. LeBrun: Will injuries derail Kings' magical run? 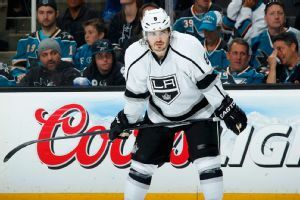 The Kings are on a tear reminiscent of their 2012 Stanley Cup run, but injuries on defense are threatening to undermine this year's magic, writes ESPN.com's Pierre LeBrun. 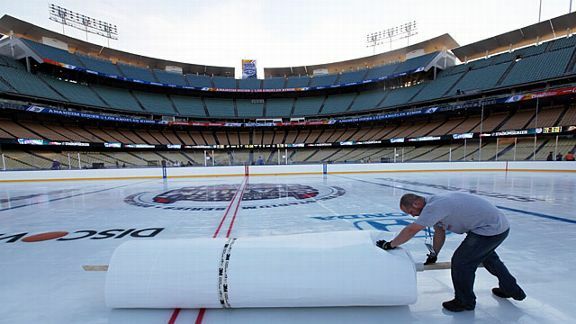 Teemu Selanne skated off the ice and walked to the visitors' dugout at Dodger Stadium, rubbing the eye black on his cheekbones in disbelief beneath the Southern California sky.